Unfortunately, we have garnered enough evidence to now seriously question Brian Houston’s “allegiance” to whatever ‘thing’ he calls “Jesus Christ”. His latest endorsement of the movie ‘Noah’ gives us a fascinating insight to his spiritual state. 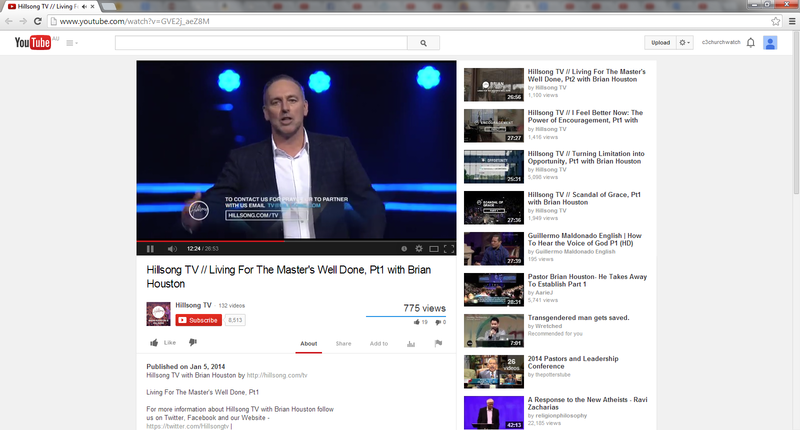 While Judas betrayed Jesus Christ for thirty pieces of silver, Brian Houston does it for free. We just don’t know if he has done this does deliberately or foolishly. After Houston’s Hillslam controversy (among many other things), it is of our opinion he is deliberately pushing his own agenda. Bible-themed movie? This movie was based off the kabbalah and other gnostic texts. It looks as though they purposely misquoted the bible. The righteousness of God was perverted by Satan himself in this movie. Genesis 6:9 says, “Noah was a righteous man, blameless among the people of his time” who “walked faithfully with God“. The Apostle Peter says, Noah was “a preacher of righteousness” (2 Peter 2:5). So Brian, can you please explain why Noah’s Father Malech (depicted as a Shaman) blessed Noah with the serpent-skin of Satan? Why did Noah go to Methuselah (depicted as a Shaman) and receive drugs to hear from God? Can you please explain why Noah put faith in demons (the Watchers) to fight for him? Why did god send the rainbow after Noah wrapped the serpent-skin around his arm to bless his family? It makes no logical sense why Brian Houston has endorsed this pagan film. But when you read this article, it makes sense why the film industry would target false teachers to groom churches to promote their merchandise. When Darren Aronofsky was a 13-year old in Brooklyn, he had one of those unforgettable teachers. Mrs. Fried dressed in pink and drove a pink Mustang; Aronofsky says she was “magical.” When she assigned his English class to write about peace, Aronofsky produced a poem about the dove that wings its way to Noah aboard the ark in the Bible. When the poem won a United Nations contest, it sparked Aronofsky’s nascent faith in his creative powers. The trouble began when Paramount, nervous about how audiences would respond to Aronofsky’s fantastical world and his deeply conflicted Noah, insisted on conducting test screenings over the director’s vehement objections while the film was a work in progress. Both director and studio say that’s now all behind them. “There was a rough patch,” Aronofsky allows, but at this point, Paramount is fully supporting his version. Vice chair Rob Moore says the studio is launching an advertising campaign designed to communicate that this film — an exploration of Noah’s emotional journey — flows in large part from Aronofsky’s imagination. Still, big challenges lie ahead. Burnett and Downey attended the National Prayer Breakfast in Washington on Feb. 6 to tout their new Jesus film, Son of God, which hits theaters Feb. 28, and received an enthusiastic reception. By contrast, an informal poll by THR of attendees at the key gathering of religious leaders found little awareness that a Noah movie was weeks from release. Further, THR spoke with several people who saw an early test screening in Southern California’s Orange County and who identified themselves as religious. One viewer, who declined to give his name because Paramount required him to sign a nondisclosure agreement, echoed the sentiments of others by criticizing the depiction of Noah as a “crazy, irrational, religious nut” who is fixated on modern-day problems like overpopulation and environmental degradation. The Bible’s account of Noah is not packed with detail. “From a storytelling perspective, the main points are that Noah is a man of faith who is picked by God, told to build an ark, builds the ark and survives,” says Moore. When the studio did early polling to explore the idea of a Noah movie, it found that audiences thought they knew the story and didn’t grasp what the movie might add. To Paramount, Noah seemed like an opportunity to do what Warner Bros. had done in entrusting Alfonso Cuaron with Harry Potter and the Prisoner of Azkaban as he came off of Y Tu Mama Tambien — take a chance on pairing an auteur talent with an important, big-budget project. At the same time, it represented an opportunity to go after the massive faith-based audience that drove The Passion of the Christ to $612 million in box office a decade ago (an audience that has since proved elusive for Hollywood). But as work progressed, the studio wanted to do what studios invariably do when a lot of money is on the line: protect its investment. Aronofsky was vehemently opposed to test screening the film before it was done. “I imagine if I made comedies and horror films, it would be helpful,” he says. “In dramas, it’s very, very hard to do. I’ve never been open to it.” The studio also insisted that test audiences are sophisticated enough to evaluate movies without finished effects in place. “I don’t believe that,” he says. The screenings revealed a range of issues for that group. Some in the audience found the Noah character too conflicted. Some needed clarification that Noah’s son Shem, played by Douglas Booth, was married to Emma Watson’s character, Ila. “It was important for a Christian audience that you affirmed that these two were married — which we took for granted,” says Moore. That was easy to address by adding a line, but there were more complicated problems. Whatever happens with Noah, the story has had a happy ending in one respect. Aronofsky asked his mother, herself a retired schoolteacher, to track down Mrs. Fried. She found her in Florida, and Aronofsky invited her to the set. True to form all these years later, she arrived in a pink car, dressed in pink. Aronofsky gave her a cameo in the film. You can spot her playing a one-eyed crone in a scene with Crowe.